Clay Center | Why Can’t We Budge The Tide Of Teen Depression? When I was a teenager, one of my buddies called me out for my rejection of tobacco. The sentiment on those posters wasn’t quite subtle enough for our adolescent critiques, and many of my friends therefore rejected the message. I know, however, from the way my father talked about his patients, that he’d have been delighted to confront less suffering. I know from medical school that really no doctors are eager to see people get sick. That sentiment just doesn’t fit into the mindset of a physician. We all know that the anti-smoking campaigns worked. We all know that fewer kids smoke now than did 20 or 30 years ago. And we know that on the whole society has benefitted immensely. But can we say the same thing about adolescent depression? Can we say that the immense and aggressive campaigns decrying the risks of failing to recognize or treat adolescent depression have changed society’s attitudes? Like my father, I don’t relish the prospect of the illnesses I treat becoming more prominent. I don’t relish seeing ongoing suffering. And yet, the Surgeon General, the CDC, SAMHSA, the American Academy of Pediatrics, the American Academy of Child and Adolescent Psychiatry, and even the World Health Organization have consistently, for at least the last two decades, used words like “crisis” and “epidemic” when discussing adolescent depression. Why can’t we get the message out about adolescent depression the same way we got the message out around smoking? Unchecked or poorly checked teen depression yield a host of horrible problems during adult life. Kids who were depressed become adults who are at significant risk for poor job performance, lousy relationships, reckless behavior, increased substance use, suicide, and even increased risks of early death from non-psychiatric illness. The latest in our growing appreciation of this crisis was published with great fanfare in Pediatrics in December 2016. Remember that any article published in Pediatrics is a big deal. Pediatrics is the flagship journal for the American Academy of Pediatrics. When Pediatrics goes out of its way to stress a new article, policy makers take notice. The question, then, is whether the December article will have the effect that we in health care hope for. Will the growing number of diagnoses of depression among kids yield policy changes that allow these teens to access the treatment they deserve? Let’s go over that paper. I usually dislike the part of blogs where we discuss methodology. We set the stage for strongly held convictions, get all indignant about the lack of action, and then suddenly we shift gears to a rather dry discourse on statistics and phone surveys. These methods matter, though. They matter because every time I have found myself in the position of advising policy makers and educational leaders about the need to place more emphasis on the recognition and treatment of teen depression, the people in charge usually sense the massive changes that are needed to make the system better. It’s not that they don’t want to make these changes. It’s just that change is hard. Inevitably this realization leads to an understandable tendency to pick apart the data. That’s a good thing. We can’t go around saying we have to make changes if our data are fraught with poorly drawn conclusions. Researchers accessed data from a cross-sectional population of socioeconomically and ethnically diverse adolescents over from 2005 to 2014. The data comes from the United States National Survey on Drug Use and Health. This is government and non-industry funded data. Researchers examined the presence of depression over the course of year for of adolescents and young adults. Researchers also controlled for substance misuse and for economic challenges. In other words, the study assessed how often teens and young adults met the criteria, by their own report, for depression in the previous year, and then used statistical models to determine to what extent the symptoms of depression might more accurately be categorized as a substance use disorder or the downstream effects of economic hardships. The big news of this study wasn’t necessarily the findings. Much like the spate of studies decrying the dangers of nicotine that were pervasive in the last quarter of the 20th century, this study didn’t show anything that new. 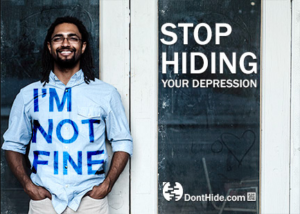 In short, there appears to be an increase in depression despite greater public awareness. These diagnoses happen more often in girls than in boys, appear to peak in late adolescence and early adulthood, and are driven by environmental as well as hereditary factors. First of all, there’s the sample size. More than 300,000 individuals participated. That’s a whole lot more than most studies with similar conclusions. In statistical terms, that means the study has more power. It more accurately represents trends in the overall population. 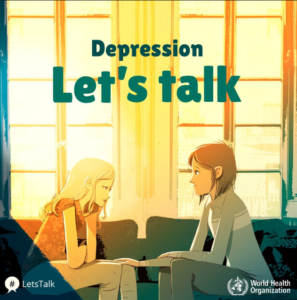 Additionally, while the study showed an increase in the diagnosis of depression during the teen and young adult years, there was a very small and not at all matched increase in treatment. We know depression is worse than it used to be, but we aren’t doing enough to change this. Why the heck not? Is it stigma? Was it the black box warning that limited the prescribing of antidepressants? Is it a lack of effective incentives to change practice patterns among existing clinicians? Is it a dearth of reasons among current college and graduate and medical students to become mental health clinicians? I’d argue it is all of these things. But all of these things are nothing new. All of these things are known quantities. If you are reading this post, then chances are you’ve been personally affected by issues related to depression. Write to your congressmen about it. Ask your primary care doctors about it. Be vigilant for the signs of depression in your own children. If your child or someone your child knows becomes more isolative, or much more irritable, or falls off their normal academic or social trajectory, intervene. Remember that economic hard times make depression more likely. Remember that crushed romance or lost peer acceptance – not making the baseball team, for example – pose real risks. In other words, be an advocate! All politics is local. Maybe the problem has been the national scale of these reports. Maybe we need to bring these issues into our living rooms and street corners to make a difference. Remember my buddy who seemed intent on smoking his lungs into tar? He stopped because of advocacy. Let’s use that same energy to fight teen depression.